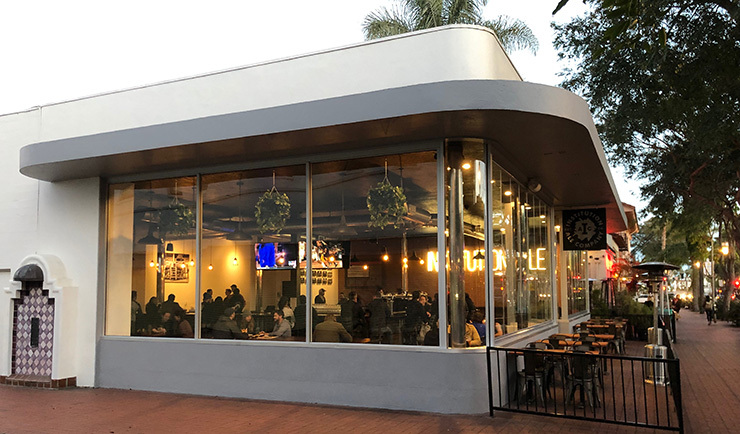 The Institution Ale Company has opened at 516 State Street, the former home of Caffe Primo and Pierre Lafond Wine Bistro. Founded in 2013, Institution Ale Company is known for utilizing non-traditional ingredients such as vanilla, cocoa nibs, coffee and peppers. All their beer is brewed in a 3-vessel, 15-barrel, Premier Stainless brewing system. Everything from recipe development, ingredient selection, the brewing process and packaging are completed in house by the company’s brew team to create handcrafted ales. “We love the architecture of the building, the retro style, the location being in the heart of State Street and the inviting all-glass store front,” said Institution Ale Company co-founder Shaun Smith. “With this new location, we are able to share all our beers with a new community. Beer is best when it’s fresh. 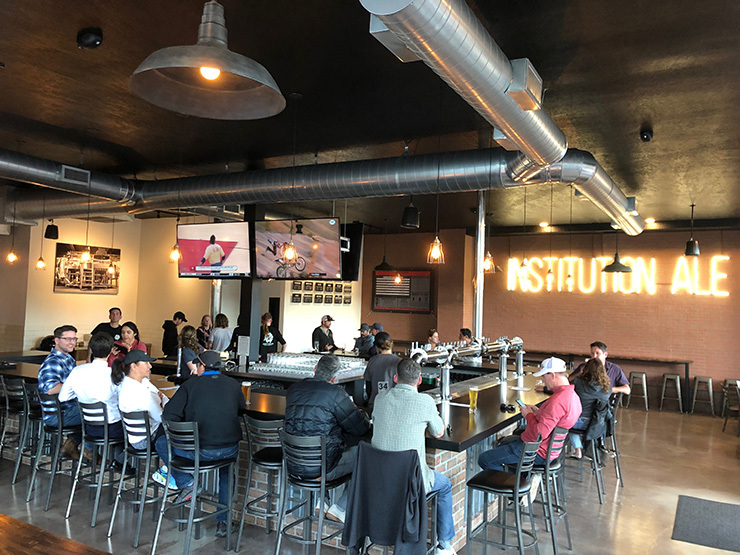 We are able to brew a beer and drive it 40 minutes up the road and put it on tap for everyone in Santa Barbara.” Institution Ale’s flagship location is at 3841 Mission Oaks Boulevard in Camarillo. Visit institutionales.com. Gosh, I remember when that was the Johnson Motors Nash dealership. The building’s wraparound windows made for a nice showroom. Hmmm….well the picture does not get me too excited. Menu shows a bunch of beers and 8 pizzas. I guess it is just a bar really? Such a cool space they had to work with. I hope it seems more interesting in person. Yes. Institution ALE has a focus on alcohol. Went there yesterday an it was packed. Didnt realize the front windows open all the way. Looks like they hit it out of the park.